Οδηγός χιονοδρομικού για Great Canadian Heli-Skiing, χάρτης περιοχής και διαμονή για Great Canadian Heli-Skiing. Χιονίζει σε Great Canadian Heli-Skiing ;Ευχαριστούμε! Great Canadian Heli-Skiing, located just 4 hours from Calgary, offers small group heli-skiing in groups of 4 guests to one guide. All packages include unlimited vertical, meaning there is no additional charges for skiing over the guaranteed vertical included in the package! Great Canadian Heli‐Skiing is excited to announce the creation of 2 types of packages that combine resort skiing at Kicking Horse Mountain Resort with heli‐skiing at Great Canadian Heli‐Skiing and catskiing at Chatter Creek in the powder‐choked Selkirk and Purcell Mountains of interior British Columbia. for the ultimate powder package, a 9 or more day tour including resort skiing at Kicking Horse, 3 days catskiing and 3 days of heli‐skiing in mountain ranges along the Canadian Rockies. First heli-ski week. 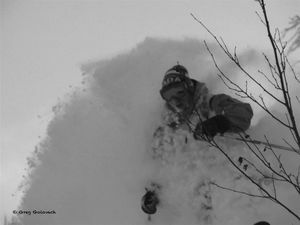 The whole Great Canadian HeliSki package was excellent from booking the trip to the end. Skied all types of terrain and even though it had not snowed for 10 days, skied fresh tracks all week. First class guides and the lodge staff were welcoming and professional. Awesome Heli pilots and ground staff. Whole package could not be faulted. Unlimited vertical - we skied over 130,000ft during the week. Nothing to pay at the end. 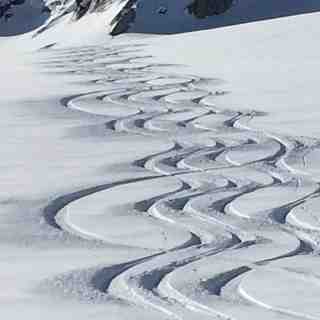 Already planning next years trip - Great Canadian HeliSki must be repeated.